Tell us your story. How did Travello App get started? What makes Travello App different from your competitors? Our community is our key differentiator and while much of our technology can be replicated – you can’t build a community easily! A range of travel companies are trying to manufacture communities, but it’s not what they are – and travellers are wary of that. There are also platforms that started as a community but have morphed into something more commercial. Travello’s community is at its core; it’s what we do. So our users trust that and feel comfortable in our ecosystem. When you download most travel apps, you feel like you’re entering a marketplace where you’re bombarded with unwanted products and services. You won’t feel that with Travello. When you open Travello you feel like you are entering a global community of travellers, and that any suggested events and activities are completely tailored to you and you alone. That’s a key differentiator. It’s our people who make our app unique and they drive the content that they see. The fact that we actually launched a product! So many start-ups don’t even get to the starting line, so the fact that we actually launched a product is actually a huge achievement in itself! Beyond that, our most recent capital raise, where $5m was invested into Travello was pretty huge. Getting that investment isn’t an indicator of success in itself, but it means that some really, really smart people think this can be something huge – and this funding will allow us to build a global company. We’re really aiming to be the largest and most trusted travel community in the world and this funding allows us to put the right pieces in place to achieve that. What can we expect to see from Travello App in the future? We have a huge product roadmap, but we really want to facilitate a seamless travel experience for our users. Travel, in general, is really behind when it comes to technology, so we have an opportunity to execute some really exciting plans. For us, it’s all about providing unique travel content, specific for each traveller, that can’t be found anywhere else. So, if you are a 24-year-old French Female Traveller, interested in x, y, z arriving in London, we can tell you the best experiences, things to do and things to see that others, just like you, have experienced and recommended. There’s no denying the impact mobile technology is having on youth and millennial travellers. Youth travellers have been using mobile to “discover and plan” for some time now, but the rise in mobile transactions for flights, accommodation & transfers is soaring. But the biggest opportunity lies in in-destination bookings of tours and activities. Research by Google Trips suggests that more than 85% of tours and activities are booked after travellers arrive and these experiences are increasingly being booked on mobile. So as an operator, if you don’t have a mobile presence, it’s going to be really hard to get discovered. You need to have a mobile presence! How do you work to ensure the health and safety of young travellers involved with Travello App? Traveller Safety is actually one of the key components of what we do. It’s unfortunate that we live in very uncertain times and the chances of being involved in either a natural disaster or a man-made crisis event seems to be rising. Travello’s entire ecosystem works around location, so it gives you a really nice in-app experience, but also gives you the piece of mind in knowing that if you get into any trouble, we can help. Not only can we warn our users about being in the area of a crisis event, but we can locate you if you get into any trouble or (heaven forbid) go missing. At the moment, travellers are relying on word spreading through Facebook and Twitter to find out about crisis situations when travelling, but if you’re not looking at Facebook and Twitter at the time, you’re not going to find that information out! We can actually push that information to you the moment it happens – which is a really nice value-add to our app experience. You can find out more about some of this technology at www.bluetee.io which is where we house most of our Travel Technology outside the mobile app. The research WYSE puts out is industry leading – so it’s a chance to stay on top of what is happening in the Youth Travel sector. But really, the industry relations you can get through being a WYSE member is where the real value is. We’re actively looking for strategic partners and being a WYSE member opens up those doors and also adds a tremendous amount of credibility when initiating that conversation. This is our first year as a WYSE member and also our first event (WYSTC) so we are incredibly excited to attend, and we are counting down the days. Innovation in travel isn’t easily adopted. There really is a sense of ‘this is the way it’s always been done’ in the travel industry. But if you do what you’ve always done, you’ll get what you always got! So for us, it’s all about innovation. We are a technology company that sits in the travel vertical & we can give travel operators, agents and student providers turn-key access to industry leading mobile technology and a way to get a mobile presence. But many companies are content with ‘what they are already doing’. Things are moving quickly, so travel companies need to look forward and adopt a more innovative approach – even at the risk of failing a few times. There are many lessons to be learned from companies that didn’t innovate quick enough – just speak to the CEOs of Blockbuster and Kodak! Travello is a social network for travellers used in over 180 countries. It’s a global community of travellers and the easiest way to connect with other travellers in-destination and share travel experiences. 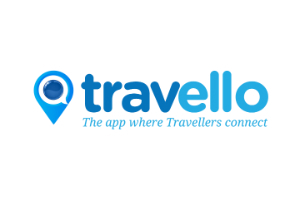 However, Travello is more than just a social network for travellers – Travello has created a range of travel-tech solutions that allow travel companies to connect with their own customers in-destination. These platforms combine geo-fence technology, precise segmentation and rich consumer data to provide laser focussed marketing opportunities and previously unattainable customer analytics and insights. This allows travel companies to stay in touch with their customers throughout the entire journey and drive more revenue. This combination of community and industry shaping technology place the Travello App and it’s B2B technology solutions in a unique position among the travel landscape.